Over a twenty-five year period Parter International has worked for HKTDC on numberous assignments to promote trade between Hong Kong and the US. 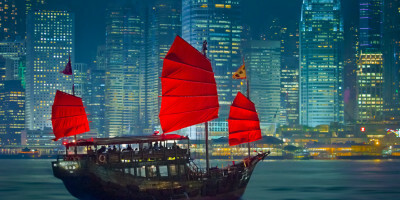 These initiatives included trade promotion activities relating to the financial and design industry sectors and government relations work relating to award winning recognition of HKTDC by the US Department of Commerce, communications (advertising and PR) initiatives, and event development and implementation. Parter International was retained by Hong Kong Trade Development Council (HKTDC) to plan, develop, and execute a strategic communications programs centered on publicizing the “Think Asia, Think Hong Kong” (TATHK) symposia held in New York City and Los Angeles in June, 2013, and Toronto and Chicago in June, 2015. TATHK events, the largest-ever initiatives organized by HKTDC to promote business opportunities for U.S. companies with Asia, especially mainland China, focused on industry sectors. The objective was to attract US (2013 and 2015) and Canadian (2015) business and government leaders to the events and to educate the business public about the value of doing business in and through Hong Kong. Parter International designed and implemented a multifaceted, carefully crafted, and coordinated communications program, employing both online and traditional media. 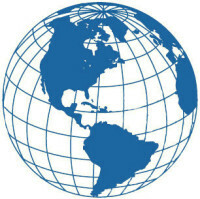 We researched and developed messaging to be used for press releases, pitch letters, verbal communications, advertising, and other outreach materials; developed strategy and offered advice on activities regarding supporting organizations, corporate partners, and government officials; wrote speeches, coordinated press conferences; scheduled interviews for members of the Hong Kong delegation; and handled on-site media relations. In addition, we designed online media strategy; developed a tailored contact database of online influencers (bloggers, social networking groups, newsletters, etc. ); managed social media profiles (Facebook, Twitter, LinkedIn, and Google+); and coordinated social media advertising. The strategic plan and close cooperation between our team and HKTDC resulted in over 3,000 attendees at each of the TATHK events. In 2013 two press luncheons with 80+ participants were held; more than 1,100 articles placed across a wide range of media outlets including the Wall Street Journal, Forbes, Bloomberg, Reuters, LA Daily News, Fox, CBS, and others; 17 interviews scheduled with renowned national and local media; and the creation of an online community of more than 21,000 like-minded professionals across different social media platforms discussing Hong Kong related issues. In 2015 the events drew coverage from Hong Kong and North America generating around 900 media clippings, the social media drew a remarkable 14,000 followers on Facebook, Twitter, and Linked In. Over 30 Canadian journalists from 19 media organizations attended the Toronto event, representing i.e. Bloomberg News. Over 20 US journalists from 16 media organizations attended Chicago event, representing i.e. Chicago Tribune, Huffington Post, TATV, Via Times. For the Hong Kong: America's Bridge to Asian Growth Event at the Mandarin Oriental Hotel, Parter International was responsible for developing and executing a public relations program to help HKTDC publicize its assistance to the US Commerce Department relating to the administration's new Pacific Bridge Initiative and to promote Hong Kong as a center for finance in Asia. We designed the online media strategy, developed a tailored contact database of 230 online media publishers (bloggers, social networking groups, newsletters, etc. ), and obtained placements at a large number of those new media outlets. In addition, we conducted a traditional PR campaign targeted to mainstream media. 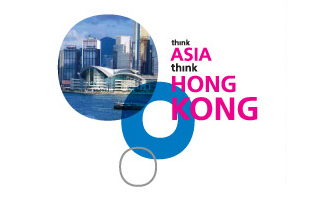 We developed storylines, pitch letters, press releases, and media advisories; conducted media outreach to disseminate HKTDC messages to US business media and multipliers; and obtained interviews at important publications and media outlets, including the Wall Street Journal, Bloomberg, New York Post, American Banker and others for Hong Kong’s high ranking officials. For the Hong Kong Design Centre Event at Sothebys Auction House, we worked with the New York office of HKTDC to orchestrate all publicity and handle media relations and audience attraction to a one-week showcase of products by Hong Kong designers, “Creative Hong Kong in New York.” Despite the fact that neither publicity nor invitations could be managed until two weeks before the show’s opening, due to holiday and other factors, we succeeded in attracting a dozen journalists to a Monday morning briefing, attracting more than two dozen confirmed attendees to an afternoon seminar, and obtaining coverage of the show on more than two dozen web sites, magazines, and television. Articles appeared in Accessories Magazine, Housewares Magazine, Watch & Jewelry Review, unbeige.com, Design Addict, Little Views, Going.com, zvents, Greenwich Citizen and The Record Online Edition, to name a few. Parter International conceived of the idea and managed the process of having the prestigious “US Department of Commerce “E” Award” presented to HKTDC, the first time it had ever been awarded to a non US based entity. This high profile recognition for Hong Kong was important because it proved, in a difficult political and trade climate, that Hong Kong had been providing valuable assistance in helping US companies export. We researched various awards to find the most appropriate one and then proceeded to conduct the necessary research, collect supporting documentation, prepare the extensive application, and convince key opinion leaders to provide testimonials on HKTDC’s behalf. Once the application was completed and the appropriate references acquired, Alan Parter worked with his US government contacts to convince them of the wisdom of choosing HKTDC as the award recipient. We then planned an award ceremony held in Washington DC at which then Commerce Secretary William Verity personally presented the award to HKTDC’s chairman. We developed numerous press materials and arranged for considerable media coverage. counsel and services provided by your team throughout the period we worked together.